The report, in ACS’ journal Analytical Chemistry, also identifies a major threat that conservators must address in preserving this archaeological treasure for future generations. 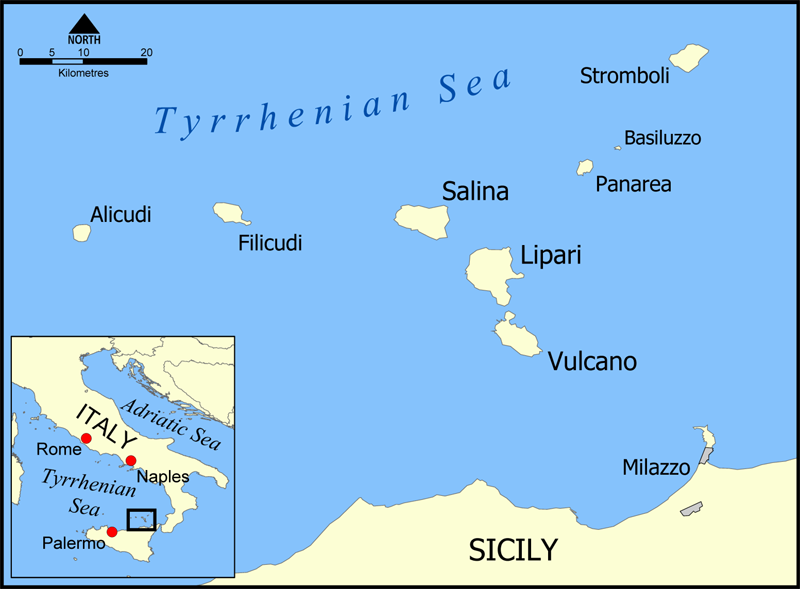 Patrick Frank and colleagues explain that the ram, called a rostrum, was found in 2008 under 22 feet of water, 150 feet offshore from Acqualadrone (which means “Bay of the Pirates”) in northeastern Sicily. The Acqualadrone rostrum is bronze, with a wooden core that was preserved because of burial beneath the seafloor. Carbon-14 dating suggests that the warship sank around 260 B.C. after being damaged in the battle of Mylae during the opening stages of the First Punic War, which may have been among the largest wars of its time. Earlier research localized the metals in the bronze to mines in Spain or Cyprus. The authors, from the SLAC National Accelerator Laboratory at Stanford University and the University of Palermo, set out in the new research to learn more about the origin and condition of the rostrum wood. Their analysis of the acids and other substances in the wood showed that the strutwork of the Acqualadrone rostrum was pine, waterproofed with pine tar. Other woods, like juniper and oak, and other ancient marine sealants, like beeswax, were ruled out. Importantly, the research found copious sulfur in the wood that could turn into sulfuric acid, an extremely corrosive substance. Sulfuric acid is known to appear in recovered wooden marine archaeological treasures and can threaten their existence. The authors argue that iron and copper permeating the wood may catalyze that transformation, but they suggest that removing ozone from museum air could slow the conversion. The authors acknowledge funding from the Department of Energy Office of Science, Department of Energy Office of Biological and Environmental Research, the National Institute of General Medical Sciences, the National Center for Research Resources and the National Institutes of Health.